He is back! Nicholas Cage is back with his awesome bike ride! It's kinda bad to say this but this is the only movie that I found Nicholas Cage acted very well in it. The story begins with a messenger told Johnny that he must save and protect a little boy. He told Johnny that there is a connection between the Ghost Rider and that little boy. The mom and little boy managed to escape from the chaser at the earlier part but somehow they werebeing tracked and the chaser caught the little boy. Ghost Rider awake and arrived to where the little boy was. Ping Pang Pong happened where Ghost Rider had a fantastic fight with the chasers. However, the chaser managed to ran away with the little boy in hand. Then it's amazing that Ghost Rider suddenly could track the little boy with the chasers. Again, comic-style fightings happened and the chasers almost die. The Devil arrived later on and "granted" the chaser the power of rot. Basically he can rot anything he touched, except for himself and plastics, I guess. The boy then being captured again, by the Devil and soon began a ritual, where the Devil transferred his soul to the little boy. What's next is to find out the story by watching it in the cinema! Will the little boy die in the ritual? 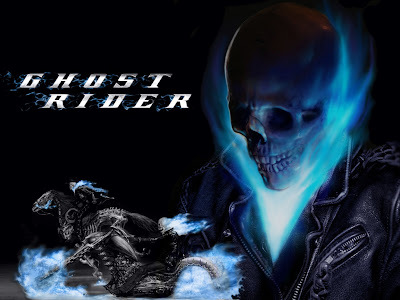 Or will the ghost rider save him before the ritual begin? Is the Devil going to kill Ghost Rider? I wouldn't recommened it to be watched on 3D because there isn't much exciting actions going on in the movie. Johnny actually wants to get rid of the devil inside him, which means there will be no more flame rider. Why~ Skeleton's on fire is pretty cool than a normal uncle with wrinkles. The chaser has the power of rot from the Devil and he could rot anything he touched. 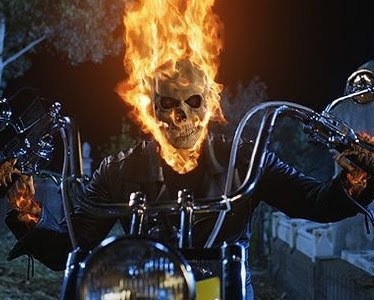 But why couldn't he rot what Ghost Rider is wearing? The chaser also couldn't rot the plastic cover of the bread, pttf. Ghost Rider is an angel! Hell yeah, a fallen angel? Next movie on list, Underworld 4: The Awakening! sadly, 3D is a no no for this movie.